Asus showed off its new 'wave' design concept in a few devices on Thursday at the International Consumer Electronics Show (CES), including a concept netbook that unfolds into a tablet PC and a 47-inch LED TV. 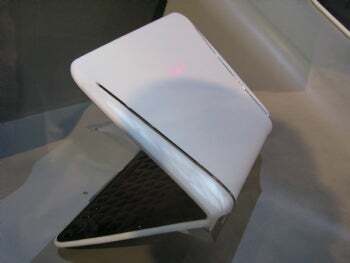 The netbook concept is to have dual 9-inch touchscreens on a netbook, with one where a keyboard is normally located and one as the display. The device has no physical keyboard, instead using the bottom touchscreen for input. 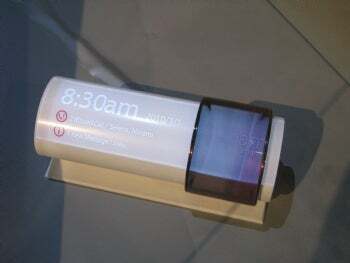 The device can also be fully unfolded into one large tablet screen. 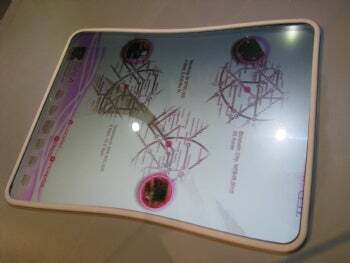 An Asustek representative said the idea is to use OLED (organic light emitting diodes) technology for the screen and make it flexible. The design is a prototype and Asustek has no plans currently to take it to market.